Introducing our Special of the Week! All this month we will be offering a limited time menu item for one week only. This week our special of the week is the Chicky-Chicky Parm-Parm created by Chef Jared Ortego. Crispy pan seared breaded chicken breast topped with housemade marinara sauce. Served with a side of flash fried fresh brussel sprouts that are tossed in salt, pepper, and freshly grated parmesan cheese. 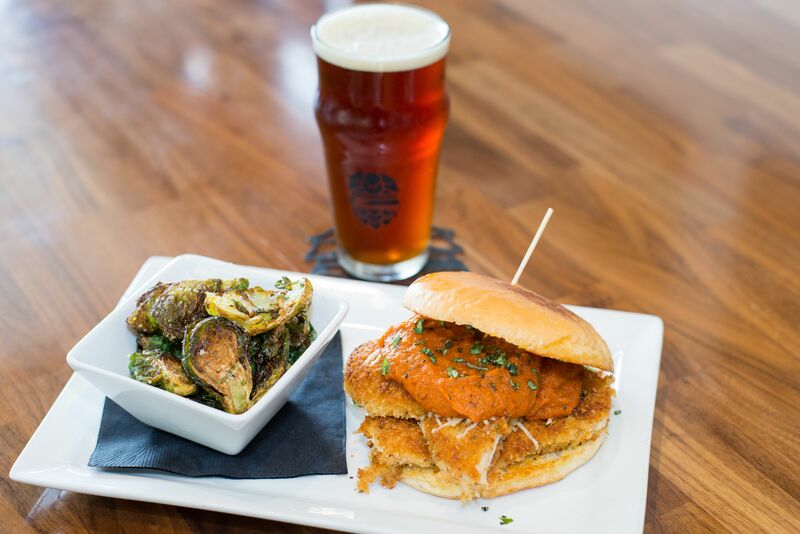 We suggest paring this Chicken Parm with Shannon Brewing Company‘s Irish Red. Don’t be a chicken and bite into this sandwich today.